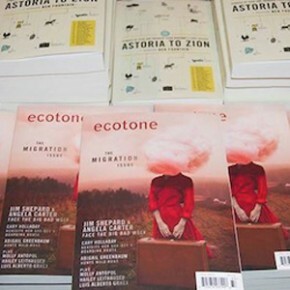 This week’s On Location comes from Ecotone contributor Kevin Brockmeier, whose story “The Year of Silence” appeared in Volume 3, Issue 1 back in 2007, and was reprinted in The Best American Short Stories 2008. Unfortunately, that issue was so popular it sold out, but you can find Brockmeier’s story and many more in the newly published Astoria to Zion: Twenty-Six Stories of Risk and Abandon. 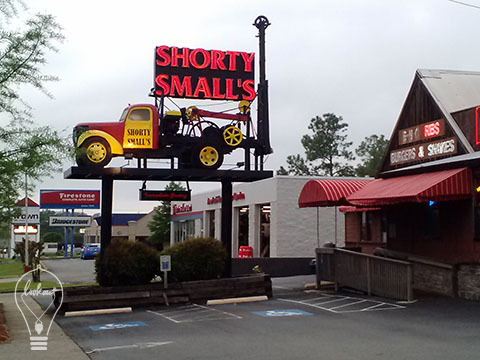 Shorty Small’s, the restaurant pictured above, is located directly across from the elementary school in Little Rock where I was once enrolled, and has been for more than three decades. When we were kids, we thought of it as the most grown-up and dangerous of grown-up and dangerous places—“a wretched hive of scum and villainy,“ to borrow the words of Obi-Wan Kenobi. A shack! Where people drink beer! With a dilapidated truck marooned on a post out front! Whatever you do, we warned each other, if the soccer ball rolls across the street during recess, do not follow it there.